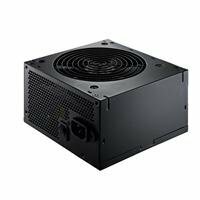 $352.43+ Salvaged HP prebuilt to bring you this beauty, "The Flash"
I've had this PSU for 3 years and have nothing to complain. Although now I'd rather grab a modular one. from completed build Salvaged HP prebuilt to bring you this beauty, "The Flash"
The fan is too loud on my old Q6600 system, sounds like a jet engine for real. For this build, can't hear it.